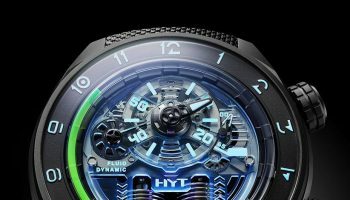 HYT invented the first fluidic watch. The first animated Skull. The first watch with a mechanical light source. 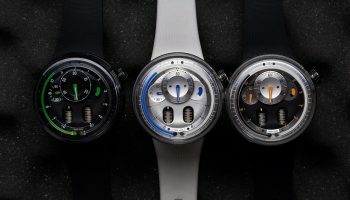 And, now, the Skull Light is the first HYT wristwatch to combine all three of these innovations. It is available exclusively from our Kuala Lumpur boutique as a limited edition of just 3 pieces. 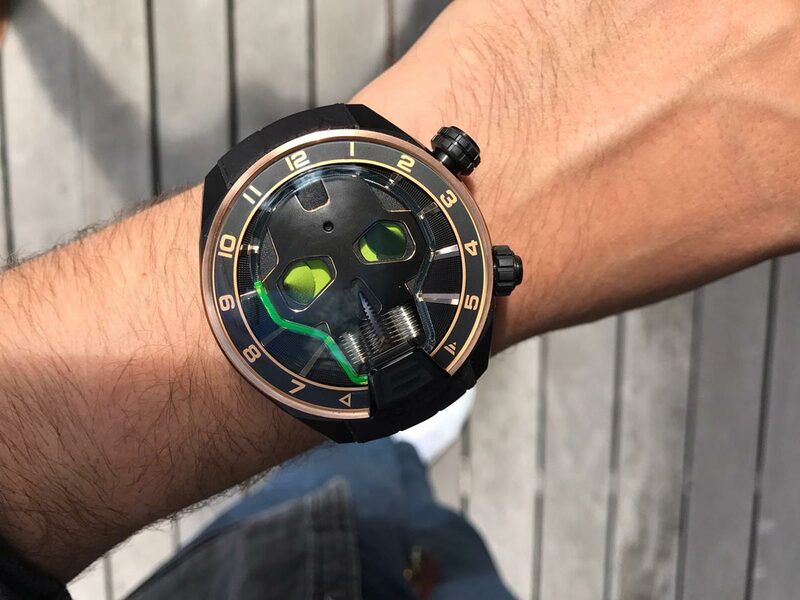 With the Skull Light, HYT wanted to create the ultimate model to honour of the brand’s first boutique, which recently opened in Kuala Lumpur. This exceptional piece combines all the key innovations the brand has developed in recent years. 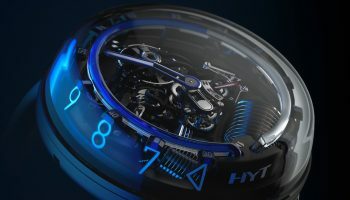 It represents the very heights of HYT’s expertise. The watch includes the famous historic calibre from HYT’s founding piece. Entirely developed in-house and driven by two bellows which circulate liquids within its glass capillary to display the time… This is watchmaking for the third millennium, featuring fluid time! 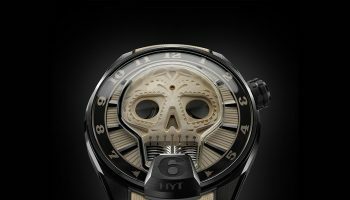 For the animated Skull collection, HYT has developed a new capillary. It perfectly outlines the shape of the skull, which takes centre stage. The power reserve indicator sits in the right eye socket, which gets darker as the piece reaches the end of its 65-hour power reserve. The left eye socket houses the seconds indicator. Continuously rotating, these two discs bring the watch to life. The skull itself, made from black DLC titanium, sits on a dial featuring a Clous de Paris stud finish. Each of its contours is highlighted by 5N gold hand-bevelling. The bezel and indices also boast this same exclusive finish. 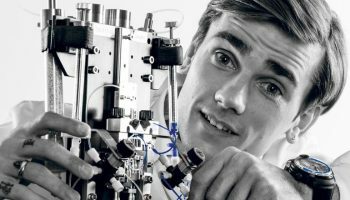 Finally, to take the level of innovation even further, HYT has combined these two with a third: the first electro-mechanical source ever designed for an haute horlogerie piece. Underneath the rider at 6 o’clock are two LEDs. Activated manually, they brightly illuminate the inside of the watch. The green liquid, containing a special fluorescent dye, is excited by this light source and glows vividly! At the same time, the wash of light flows into every nook and cranny of the skull, literally bringing this skeleton architecture to life, and defying the laws of watchmaking. The HYT Skull Light is powered by a purely mechanical source of energy. The generator is nestled in the middle of the case between 4 and 5 o’clock. It is invisible, and activated by the push-piece located opposite. The mechanism is inspired by a dynamo: the conversion of mechanical power into electricity. This micro-generator is charges by rotating the push-button at 4:30. Then, pressing this same push-button will activate the two LEDs which light up and bathe the Skull Light in a gentle blue glow for up to fifteen seconds, after which the mechanism needs to be rewound. No batteries or electronics are required for this function: the process is completely mechanical. There were three factors that made it particularly complex to develop: the extreme miniaturisation, the curved shape, and the fact, once again, that no development of this type had ever been achieved before. Success has made the Skull Light a hub of the most exclusive innovations ever designed by HYT. 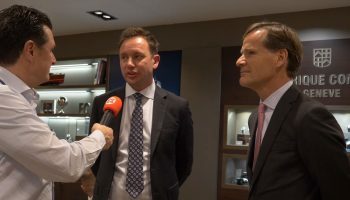 Genève 2019: Hoe klinkt de Big Ben in London ook alweer?